I'm not sure what it says about my personal life to have spent the most time on this, second to our wonderful host. I'm sure that not having kids helped a lot in this area. Anyway, thanks again for hosting this excellent event. I really enjoyed it. I'll definitely look forward to next year! I think it will help me with making reading more of a priority in the meantime, too. Don't worry, Jen, there were a few others who came pretty close. I just didn't want to start a list. And what I think it says about you is how much you can dedicate to a task and how much you learned about making reading a priority - sometimes. As for your personal life, I'm sure we make no judgments there. It's just lucky we hit an open weekend for you, and that I could tell my husband "Fathers Day? I don't know what you're talking about." A tip o' the hat to all the reviewers and to you, mother reader, for the plan and the leading. Cool idea! Fourteen books and over 3,000 pages? I'm starting training for next year tonight. I've clearly got to get into shape for next year's challenge. Goodness. Thank you, Mother Reader, for organizing the festivities. Wow! I'm stunned. Thanks so much for the prize - which I will definitely enjoy - but mostly for giving me an avenue to get back to reading. I had a great time and have loved reading everyone's reviews today, too. Hurrah to Mother Reader for the fabulous idea and hurrah to all of us who love kids and books! Has someone put together in one place all the titles that were reviewed? I'm still not ready for ALA or I'd volunteer. But I'd love to see a list of all the books & reviews. Congrats to all, and I loved this, the reading, reviewing, the reading blogs, and I cannot wait for next year! Great idea for a list of all the books - I'll compile the list and post it over at Midwestern Lodestar. Congrats to the winners and to everyone else who participated. You are an amazing group of people! And thanks again to MotherReader. 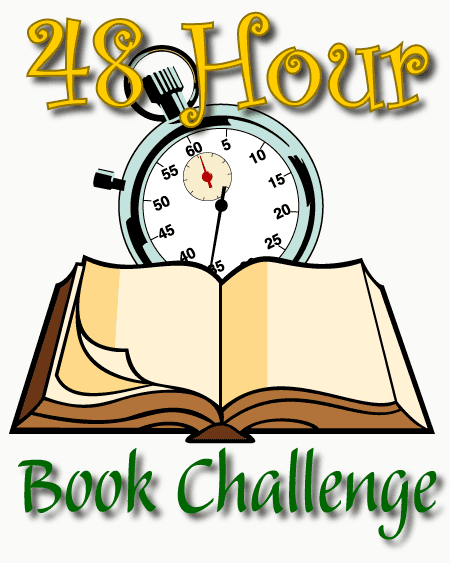 I applaud you again, Mother Reader, for setting up this great challenge and encouraging literacy and readership! Fantastic books, fantastic blogs. Every participant is literate in many senses and posted thoughful, expressive reviews. Glad to be in such good company. Thank you. 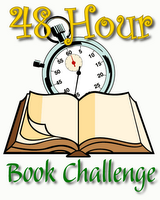 As promised, the list of all of the finished books read by participants of the 48-Hour Challenge is now posted on Midwestern Lodestar. Stop over and have a look. Sigh. Next year, the monsterlings will be a tiny bit older and the husband will be locked inside the house with them while I join you. Sorry I missed out on the fun. Hope everyone had a blast and has caught up on their sleep.